Huge swathes of the world will have fond memories of Pokémon: if you’re a child of the 1990s, you no doubt feverishly traded cards in search for that rare Charizard, loved the TV series’ take on The Poseidon Adventure, and wore your first GameBoy out by playing Red, Blue, and Yellow. But the franchise has never gone away. There are now over 700 Pokémon. Arguably, there are 17 films (18 if you don’t count a two-parter as one movie), while the anime has enjoyed over 900 episodes. And in 2014 alone, the franchise made $2 billion. This year, on February 27, Pokémon celebrates its 20th anniversary. Here’s how to celebrate in style. Created by Satoshi Tajiri and Ken Sugimori, Pocket Monsters: Red and Green were released in Japan in 1996, with a Blue special edition following in October, and sold over 10 million units. The games then travelled stateside, where they sold similar numbers, and became popular in the United Kingdom too. Pokémon soon spread from the GameBoy onto N64, GameCube, and Nintendo DS, the ranks of creatures expanding exponentially from the original 151. No one blames you for not filling your every waking hour with Pokémon games, but why not make up for missed time by finding out about all the releases you’ve missed? Forget those common gaming strategy sites Top 5 Sites With Free Strategy Guides For Gamers Top 5 Sites With Free Strategy Guides For Gamers Read More : you want specific ones focused on Pokémon. A good place to start, though, is the official site, which presents a beautiful representation of two decades. Okay, history’s all well and good, but I know what you’re really thinking: “Over 700 Pokémon? !” Yep. Anyone who still thinks Mew is a bit of an outsider must feel somewhat out of their depth. In fact, to celebrate the anniversary, the latest Mythical Pokémon has been unveiled: Magearna, the 722nd Pokémon! If you still think Lugia is cutting edge, you’ve got a lot of catching up to do. Fortunately, the official site has a wonderful Pokédex for you to search through. You’ll be reminded of Sudowoodo, Cyndaquil, and Oddish, while also learning of newer monsters from Pokémon X and Y.
You’ll be presented with a collection of wonderful illustrations, backed-up with stats and facts about each. Not sure where to start? “Surprise Me” throws up a selection of random Pokémon. This certainly wasn’t something you could do in 1996! Fortunately, thanks to trading cards and link-up cables, there’s always been a great sense of community to the world of Pokémon. Social networking has given us the next stage in its evolution. Head over to Twitter, Instagram, Facebook, or YouTube, and use the hashtag #Pokémon20. Share your achievements and your plans to party, and reminisce about the good old days. Search through feeds and you’ll see art, cosplay, and find events and opportunities nearby. The most satisfying way to celebrate, of course, is getting some hands-on time with your old games. Annoyingly, many of us have either lost or sold our old GameBoys… if they still work! Fortunately, on 27th February, Pokémon Blue, Red and Yellow are being added to the Nintendo eShop, ready for you to play on your 3DS as soon as they’re fully downloaded. Alternatively, if you’ve yet to jump on the 3DS bandwagon, the 2DS is capable of playing exactly the same games – and three new versions will be released: translucent systems in blue, red, and yellow, complete with the appropriate game pre-downloaded. It’s also worth checking out the latest games, Omega Ruby and Alpha Sapphire, acting as remakes of their 2003 GameBoy Advance counterparts. As of the end of last year, partly due to overwhelmingly-positive receptions, they’ve sold 11.46 million copies worldwide. If you don’t fancy spending out, you could turn to online emulators to get a quick fix. 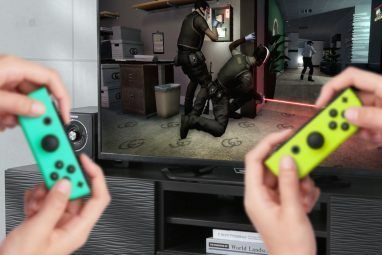 This is simply a way of playing software from one platform on another. In this instance, that’s likely a GameBoy game onto your PC. Your best bet is Pokémon Online Roms, which will run you through installing an emulator – Visual Boy Advance in most cases – onto your device, and then you can download to your heart’s content (remembering, of course, that each games takes up space). It might seem like a lot of effort to go to, but considering the back-catalogue of titles not otherwise available, it’s worth it. Elsewhere, the exact release date for Pokémon GO – which lets you catch Pokémon in real-world locations – is still to be announced, and we’re yet to find out full details of Nintendo’s mobile conquests. 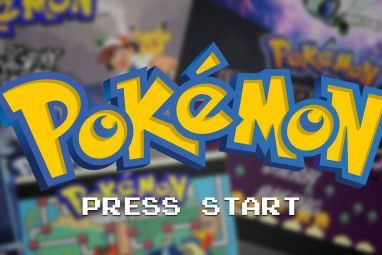 But for now, you can always play mobile Pokemon by using a mobile Pokemon emulator app How to Emulate Old Pokemon Games on Your Android Phone How to Emulate Old Pokemon Games on Your Android Phone Want more Pokemon? Learn how to play some of the old games on your Android with ease! Read More . Why does Pokémon Yellow exist? Blame Ash, Misty, and Brock! The Pokémon anime proved a phenomenal success when it debuted in 1997, and has since gone through many iterations including Diamond & Pearl, Black & White, and XY. 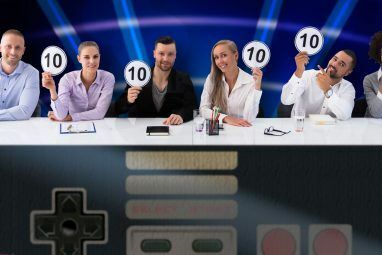 While many fans will recall the buzz around the first feature film, Mewtwo Strikes Back, you might be unfamiliar with Celebi: Voice of the Forest, Lucario and the Mystery of Mew, and most recently, Hoopa and the Clash of Ages. Fortunately, they’re all either out now or planned for rereleased (Hoopa‘s out on DVD next month), as are many of the original seasons. If you want to relive the adventure from the start, search for the Indigo Leagues. Pokémon has been a mainstay on Netflix for some time; now’s a terrible time for the contract to be under negotiation! While you’ll be able to find more recent seasons and movies on the streaming service, there’s some question about how long the older seasons will be available. If you’ve got Hulu, you’ve access to an impressive 189 episodes; while Amazon Prime Video members have a good number of modern seasons to plough through. The Pokémon website does offer select episodes from throughout the show’s history, ready to watch on your PC or tablet completely free. It’s pretty sparse, but definitely better than nothing. We still get a jolt of excitement every time we pick Charizard to fight Marth or Pikcahu against Sonic on Super Smash Bros., and that franchise cross-breeding continues with the sublime Super Mario Maker on the Wii U. Because a new update includes three Pokémon skins. Yep, Mario can be transformed into Bulbasaur, Charmander, or Squirtle, the original three Professor Oak forces you to choose from. Charmander’s perfect for those boss-level castles; Squirtle for underwater worlds; and Bulbasaur’s ideal for Acorn Plains. Or you could just mix it up! These skins, complete with their own sound effects, are completely free: all you have to do is win on the “I Choose You!” event course. But you’ll have to do it three times if you want all three skins. Because GameBoys in schools were frowned upon, kids had to resort to the Trading Card Game (TCG). This wasn’t something nerdy that could get you beaten up; even the bullies had their own collections. Newer booster packs are on sale at some 7-elevens, as well as select stores like Toys ‘R’ Us, but if you regret getting rid of your older cards, you can always turn to auction sites like eBay Fed Up With eBay? Here Are Some Worthy (And Cheaper) Alternatives For Sellers Fed Up With eBay? Here Are Some Worthy (And Cheaper) Alternatives For Sellers When you want to sell your excess junk online, where do you go? For most people, the one and only answer is eBay. With millions of daily users, it only seems logical to use the... Read More . You’ll have to stay canny and make sure you’re not paying over the odds, but some buyers will have job-lots of common cards on offer. Can you believe it’s been 20 years since Pokémon hit the stage? Whether you’ve stayed an avid fan, waivered with Digimon, or only picked up a few games, it’s time to look to the past and recall the days you struggled to pass Snorlax. 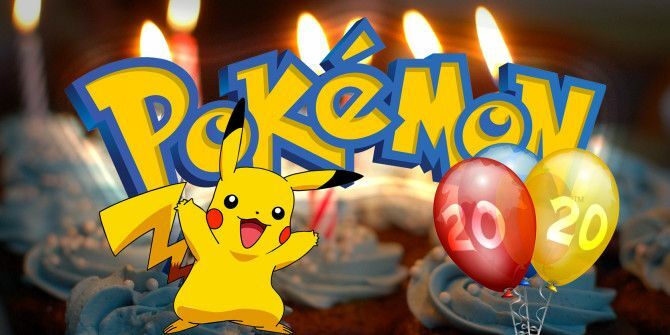 How are you celebrating Pokémon’s 20th anniversary? Image Credits: Pokemon train by Karl Baron. Explore more about: Gaming Culture, Nintendo, Pokémon. Agreed! The worst part about Pokemon Red was having to talk to so many characters who spoke so slowly. I just wanted to collect the TM and carry on! If you've not got a 3DS, I'd recommend one, especially if you're a Pokemon fan - the time you spend on that (and games like Super Smash Bros.) is more than worth it!